Hello, We are Sue and Andy Turner, owners and directors of Blue Skies Child Care. With Andy taking responsibility for the administrative side of the business and myself heading up the care of the children, families and staff. We are proud parents of 3 adult children and promote a family atmosphere in our centre. 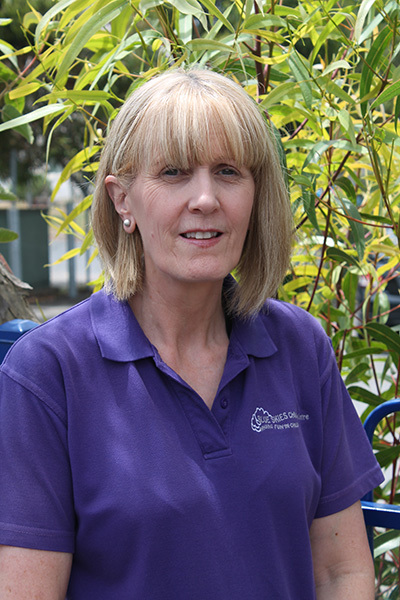 I have over 40 years experience in child care qualifying in the UK, working as an English nannie and senior nursery officer for Family and Community Services, pre-school and supply agency work. 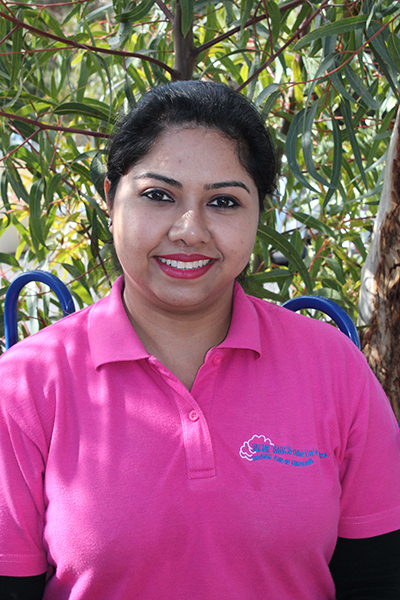 You are guaranteed a warm welcome and a highly professional standard of care here at Blue Skies. Do not hesitate to call myself or Alison, our Assistant Director. We will endeavour to fulfill all your child care needs. My name is Alison Runner. I am an Assistant Director at Blue Skies. Since I started at Blue Skies in May 2003 I have been fortunate enough to assist in developing some policies and procedures, routines and program formats as well as assist in the Quality Improvement process. This has provided me with some fun challenges and shown me the “other side” of a child care setting. I completed the Diploma of Child Care in 1998 and have since worked full time in child care. Seeing each child develop and learn new skills is what makes this job so rewarding. I now also have the pleasure of raising my own son, Jack, who was born in December 2008. In life and in my work I always aim to follow the Centre’s motto – it’s not just the children who are “Having Fun In Child Care”. I completed my Diploma in Children’s Services & am now working in the office as Assistant Director. I began working at Blue Skies in February 2011. I love watching movies and reading; and I believe Neil Gaiman and Phillip Pullman are the best authors of all time. I have a daughter who was born in 2008. I’m from Sri Lanka & have now made Adelaide our new home. My name is Kerri and I am an Early Childhood Educator. I completed my teaching degree at UniSA in 2014, and have worked in Long Day Care, Out of School Hours Care and Pre-schools since 2007. I have also worked as a nanny in Pennsylvania, U.S.A. 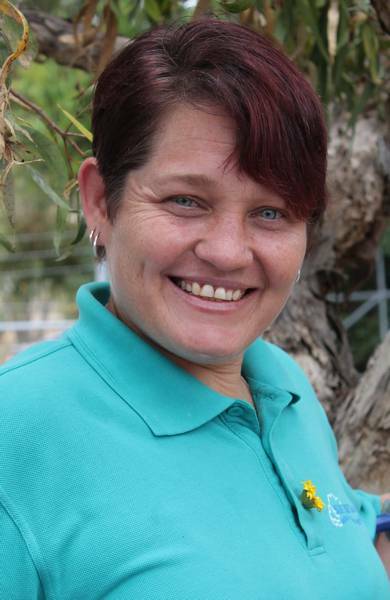 I am a volunteer guide at Adelaide Zoo, I play Roller Derby and I love to travel. I began working at Blue Skies in May 2017 in the Kindy Room. Hi, my name is Colleen Bermoser. I have worked at Blue Skies since February 2004 and have been in the industry for many years. 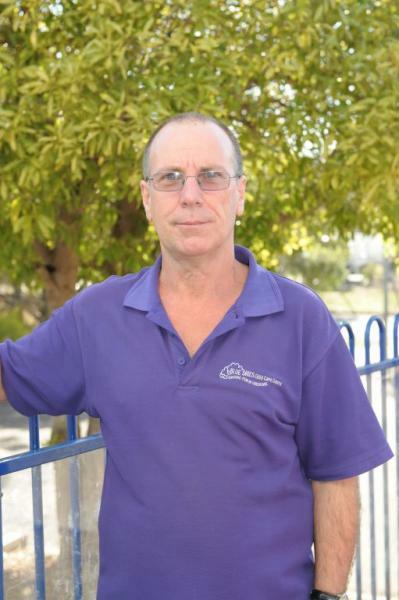 I have a Diploma in Children’s Services and have always worked with children. 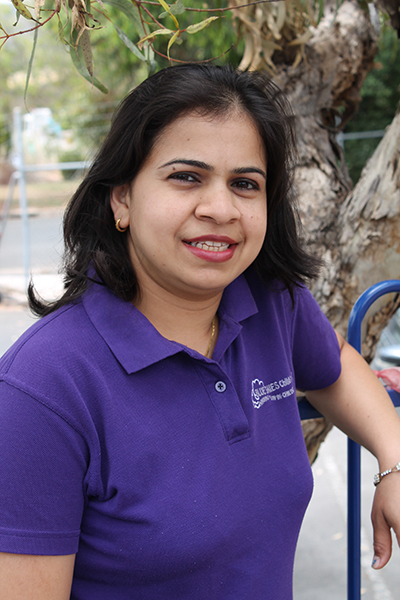 I work in the Baby room & have previously worked in both the Toddler & Kindy rooms. Hi my name is Beverly. 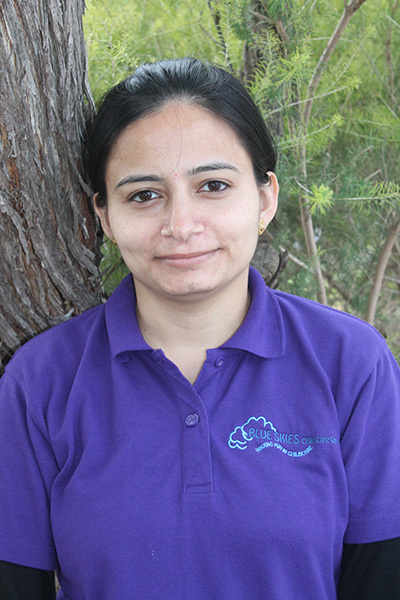 I commenced working at Blue Skies in November 2014. I have completed my Diploma of Early Childhood Education and Care and I work in the Toddler Room 4 days a week. Having two children of my own has helped me in both interacting and assisting with children’s development. I am a father of 4 children and have 1 grandson. I have worked with children for many years and have been at Blue Skies since the centre opened on the 10th of March 2003. I work in the Toddler room. I find the work very rewarding as you see the children develop their social skills and become confident in their environment. My aim is for all children to be in a safe, friendly and positive environment and to enjoy each day. My name is Ellen James and I have been working at Blue Skies since mid-2004. I started as a Volunteer covering morning and lunch breaks. I have now completed the Certificate 3 in Children’s Services and work 4 days a week. 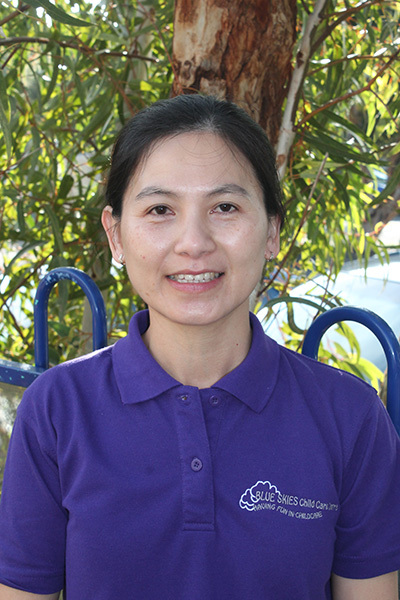 Hi, my name is Hong Huynh & I am the mum of 3 children. I had 7 years of experience working as a teacher in Vietnam. I really love working with children and I have chosen Early Childhood Education for my career. 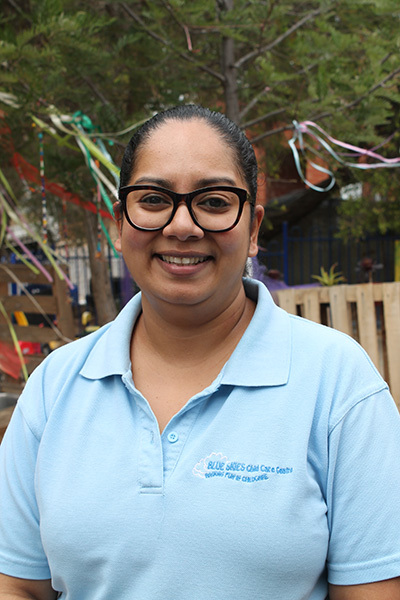 I have completed the Diploma in Early Childhood Education and Care and I began working at Blue Skies in February 2017 as a relief staff member in the Baby Room. I feel lucky to join the Blue Skies family with all the lovely staff & children. Hi my name is Hyunmi. 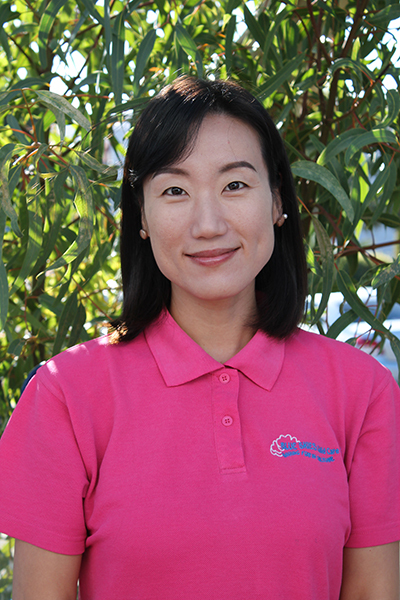 I moved to Australia from Korea in 2008. I have two children who give me big smiles. I have a Diploma in Children’s Service and joined the Toddler room in 2016. I’m enjoying spending time with the toddlers and hope we have lots more fun! Hi, My name is India-Rose. 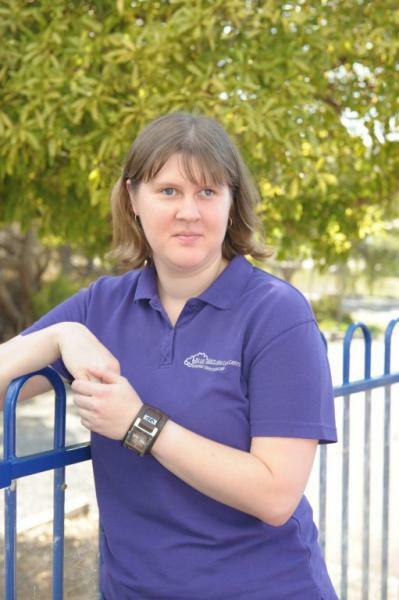 I began working at Blue Skies in 2011 and have now completed the Diploma in Children’s Services. I love working with children and meeting all the families. I feel lucky to be able to join Sue and Andy, my mum and dad, to make the centre truly a family business. In my spare time I like to go swimming and sing. Hi, my name is Josplin Dabreo. I have completed my Diploma in Early Childhood Education and care. 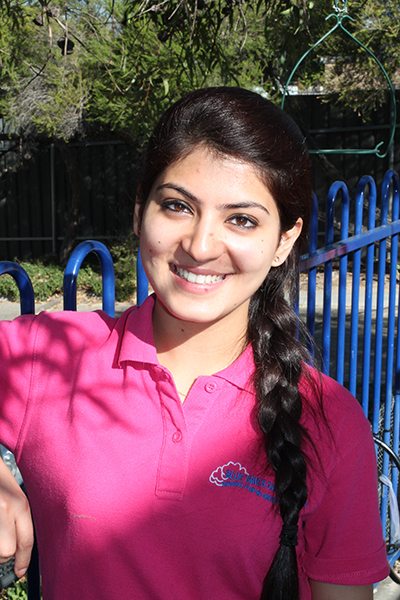 I started working at Blue Skies in July 2015 as a relief staff member in the Toddlers and Kindy rooms. I love spending time with my family. I have two young children, Willette and Sammy. I also love cooking and gardening. I truly believe “Children are great imitators “Give them something of interest and that will encourage them to express their ideas and creativity. 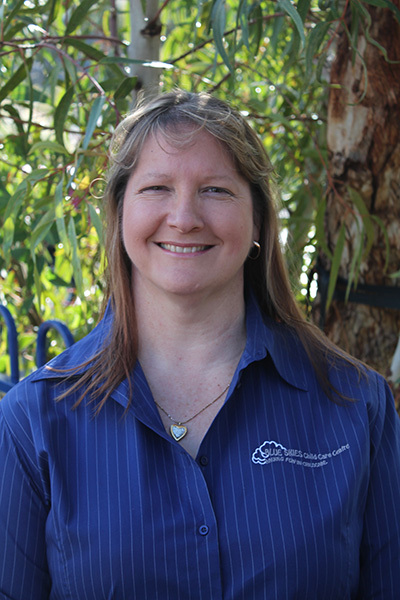 My name is Julie Bawden and I joined Blue Skies in 2012. I have worked with children as a trained professional for almost 30 years, and I look forward to working with you and your children. I work as part of the Kindy room 4 days a week. I am married with one adult son. I enjoy walking and following/helping the two sports mad men in my life. Hello, my name is Kanwal Roop Gabbi. I am from India but Adelaide is my new home. 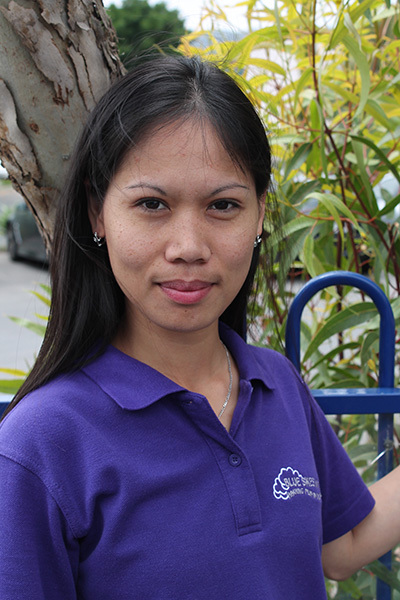 I have been working at Blue Skies since 2014.I work with the Kindy room children. I love my job because every day is full of new learning and I love bringing joy to children. I am now a mum to a little boy, born May 2016. I am privileged to bring him along to the centre. I enjoy each and every minute at Blue Skies. My name is Kelly. I have a young adult son & a granddaughter who was born in May 2016. 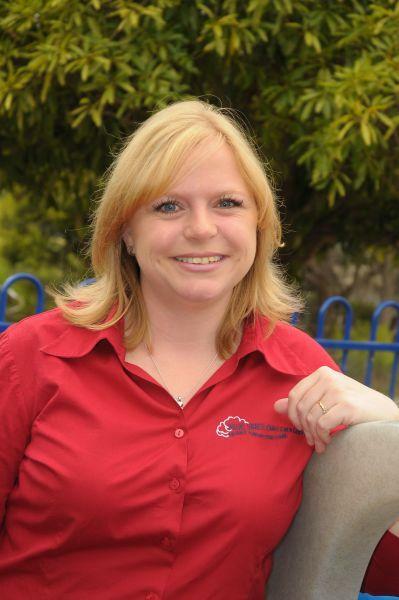 I started at Blue Skies in September 2015 and I work in the Kindy room. I have worked in the child care profession for many years in different roles and different settings. I grew up having a number of children around which lead to my passion to work with children from an early age. I look at children as being our future. I believe there is nothing more rewarding to assist the individual child through this time with their development. I have completed the Diploma in Children’s Services, the Diploma of Professional Counseling and an Advanced Study Major in Child Development and Effective Parenting. I have been involved in accounting for the past 20 years and I assist with the bookkeeping in the office, part time. I enjoy being part of the multicultural staff. As a green thumb and avid gardener I have been heavily involved in the plant take over. Now all are involved in greening our workplace. 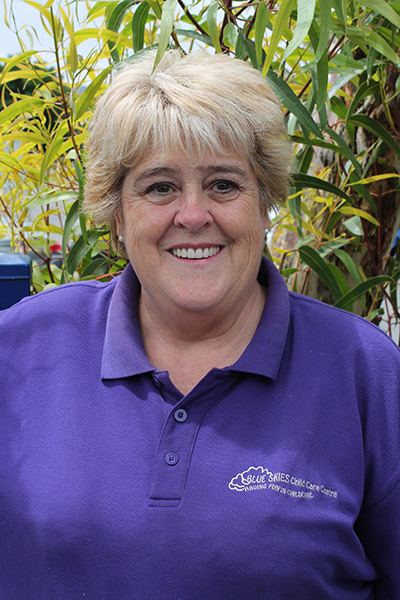 My name is Pattie Miles and I have worked at Blue Skies since July 2003. I have completed the Certificate 3 in Children’s Services. I have 2 daughters and 3 grand children. I enjoy working in the Baby room and look forward to coming to work as each day with the under 2’s brings a new adventure. Hi, my name is Priya and I work in the Baby Room. I have completed my Certificate 3 and I am currently doing the Diploma in Children’s Services. I have been at Blue Skies since October 2015. I absolutely love watching the children reach new milestones and grow. My work gives me positivity and makes me smile for the entire day. Thank you. My name is Richa Sharma. I have completed the Certificate 3 in Early Childhood Education and Care. I am now studying the Diploma in the same. I have been working at Blue Skies since July 2017 as a casual relief staff. I live with my husband and our two children. I love working with children and I believe all children need love and care. When they receive love and care they feel a sense of belonging. I feel lucky to join Blue Skies as my first employer. My name is Sam and I have worked at Blue Skies since December 2014, working as a cook 2 days a week. I have two grown daughters and two grandchildren. There’s nothing more I like doing than spending time with my family. I am Supriya Dey Roy. I began working at Blue Skies since January 2016 and have loved every bit of it. I have completed both the Certificate 3 & the Diploma in Early Childhood Education. In personal life, I have a small family with a loving husband and two beautiful sons. I believe the children need a loving and caring environment to grow and develop and that is what I try to provide to children I work with. I work as one of the cooks 2 days a week. I am married with 2 beautiful daughters. Family is important to me. My interests include gardening and trying new dairy and egg free recipes, as my daughter has these allergies. I enjoy working at Blue Skies.